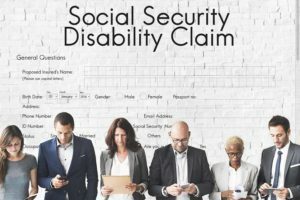 Proving that someone is disabled under Social Security’s guidelines generally pivots around one’s age, education, past work history, prior relevant work experience and the physical and mental limitations under consideration. Often, clients come to me saying “my doctor says I am disabled!” However, disability claims are predicated upon medical and vocational factors. As such, in order to prevail in a disability claim, we must be able to establish that your physical and mental limitations not only prevent you from performing your past relevant work (work that you have performed for the 15 years preceding your disability) but that there are also no significant numbers of jobs available in the national economy that you are capable of performing. Hence, it is imperative that your doctors not only keep good records of your treatment, but any opinion that they render be supported by their treatment notes. Doctors generally want to help their patients and will often erroneously exaggerate the nature and extent of a disability claimant’s medical problems. Unfortunately, in their zeal to help, a doctor’s opinion that is not supported by his or her own medical records will usually end up hurting the claimant more than it helps as the doctor’s credibility with the judge will be closely scrutinized. As such, in assessing a patient’s physical and mental limitations as they pertain to potential future employment for purposes of establishing disability, doctors should be instructed to be able to point to objective tests (MRI’s, CT scans, blood work, neuropsychiatric exams) and clinical signs observed upon examination that exist in their record in formulating their opinions. Attached please find the relevant rule utilized by the Social Security Administration administrative law judges in weighing the opinion of a treating physician. PreviousPrevious post:The “demonization of disability recipients”NextNext post:Can I work and collect Social Security disability benefits ? SSDI and SSI income limits.